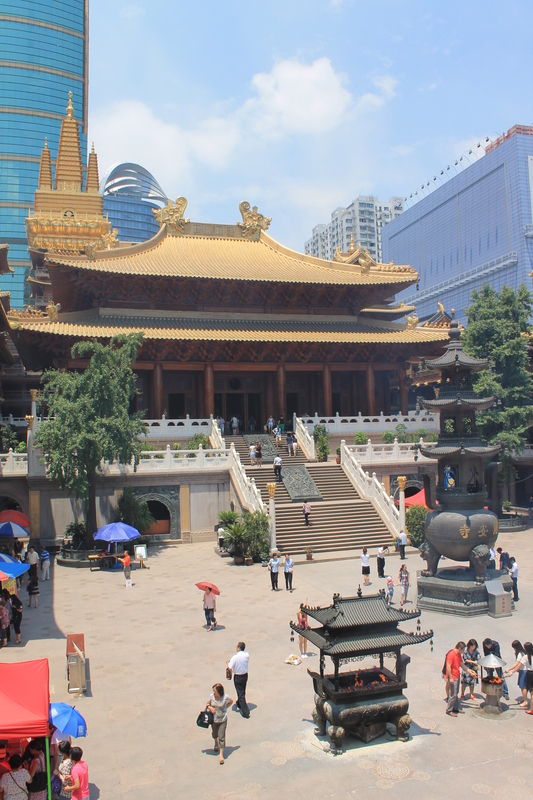 A couple of weeks ago, I went to Jing’an Temple in the heart of Shanghai. Actually, it’s very near to where my first days in this megacity were spent back in April. As I approached Exit 1 at Jing’an Temple Station, a slight smell of burned paper permeated the air. I thought in passing that it must be incense burning, and then dismissed that ridiculous thought. Surely there wouldn’t be such a display here in the centre of Shanghai, PRC. 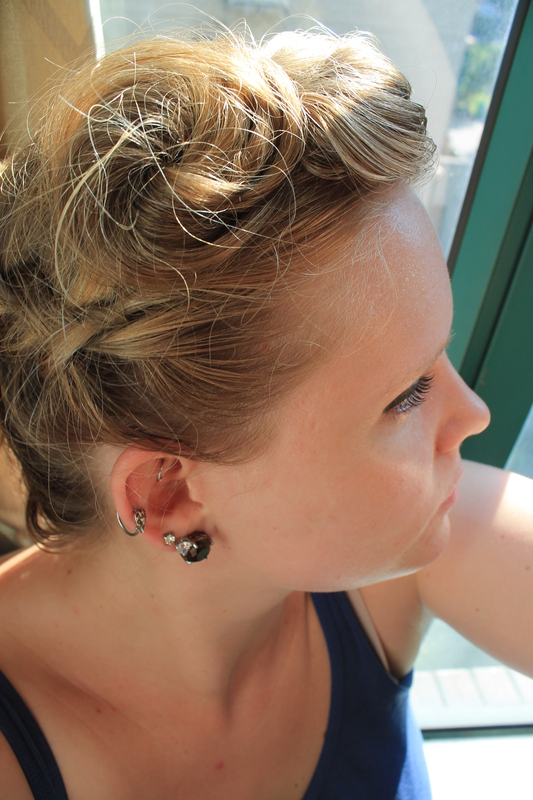 I’d prepared my hair in a Shanghai-Girl style, emulating at once the 1950s and the 1920s. Unfortunately, I took the wrong random direction at the exit. I wandered around the outside of the temple, searching for an entrance. The lower level of the temple is crowded with jewelry shops and clothing shops…money changers. But then, the temple itself rings with the sound of coins tossed into coffers, offerings to those the statues represent. Constant offerings. What’s the difference, really? Temples (churches) are the same, around the world. What’s a coffer to an offering basket. I suppose the latter generally is in possession of a red or purple cushion, silencing that clink of tithe. I was ripped off by the ayi at the entrance, who sold me incense for 10 RMB instead of five. It’s fine. I can afford it, and she knew it. I’m happy to give her more money. It was blazing summer when I visited. The incense coffers were blazing, too. I lost some knuckle fur to the flames when the wind came up. I don’t pray much. I lit my incense. I watched the others. I turned to the four directions. I thought of people who needed thoughts, and sent the incense from my hands away to dissipate and bless those thoughts. My students, all over the world. I wandered around, visiting the various statues. On the second floor, I came upon a girl in her 20s, so asleep from sheer exhaustion and release of safety in this place that she fell into an awkward pose on the steps of one of the bell towers. I paused, waited for her chest to rise and fall. It did. I walked along and out, back to my too-short day off in the summer of 2015. That is one big temple. China is BIG, man. It’s great.